The Observatories on top of Haleakala. To the right the largest solar telescope in the world when it is finished. 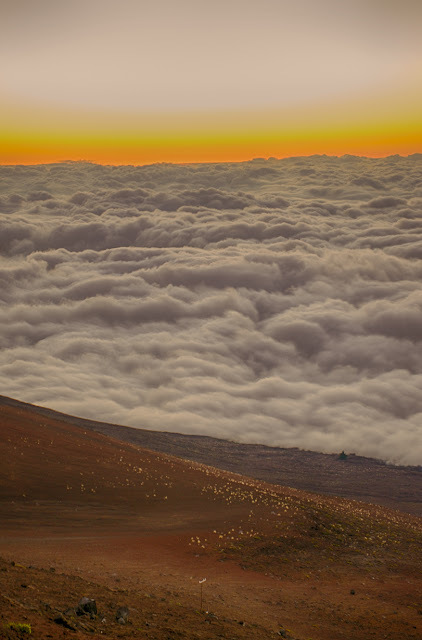 Rising 10,023 feet above sea level, Haleakala's graceful slopes can be seen from just about any point on the Island of Maui. 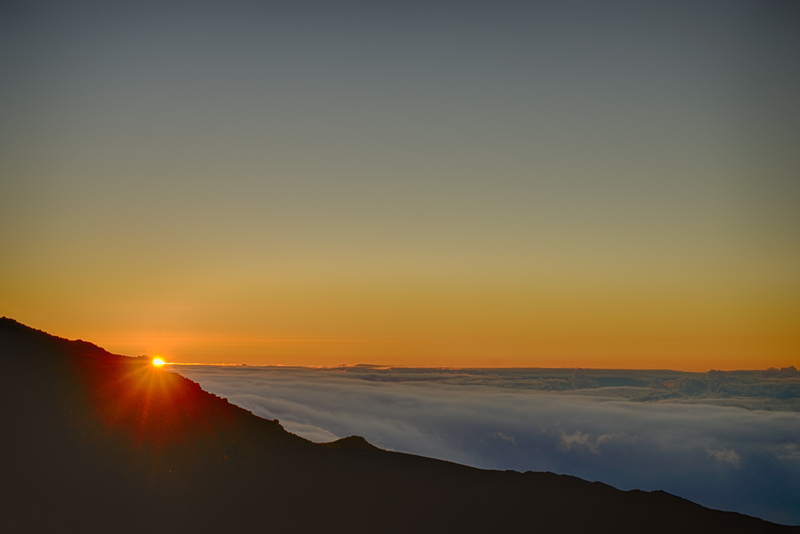 Haleakala means "house of the sun" in Hawaiian, and legend has it that the demigod Maui lassoed the sun from its journey across the sky as he stood on the volcano’s summit, slowing its descent to make the day last even longer. In March, I had the unique opportunity to stay at the Haleakala Amateur Astronomers' complex on the top of Haleakala summit. It was the week of the new moon, sowe were hoping for some incredible Milky Way, sunrise and sunset pictures. Haleakala is one of the most important observing sites in the world. Lying above the tropical inversion layer it experiences superb seeing conditions and dominant clear skies. On October 4, 1957, the Soviets launched Sputnik, the first artificial satellite to be placed in orbit around Earth and the space race was on. 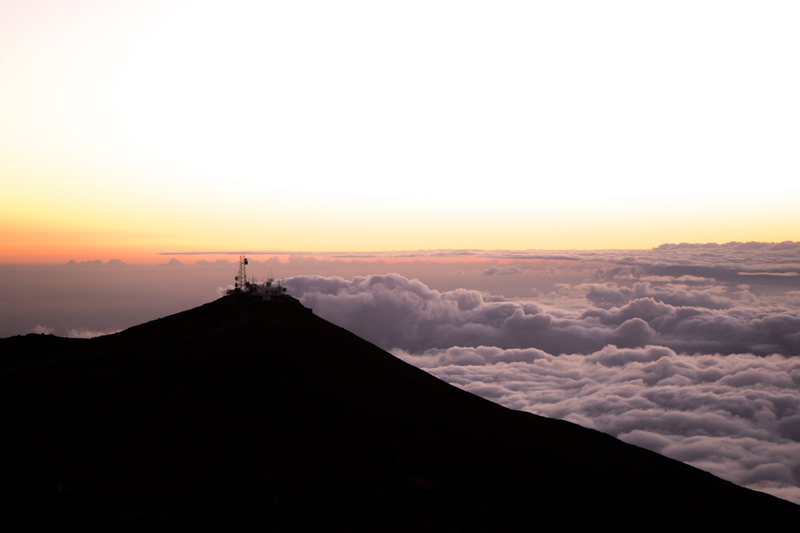 Realizing that satellite tracking observatories were now necessary Haleakala was one of 12 sites around the world slated for tracking stations. 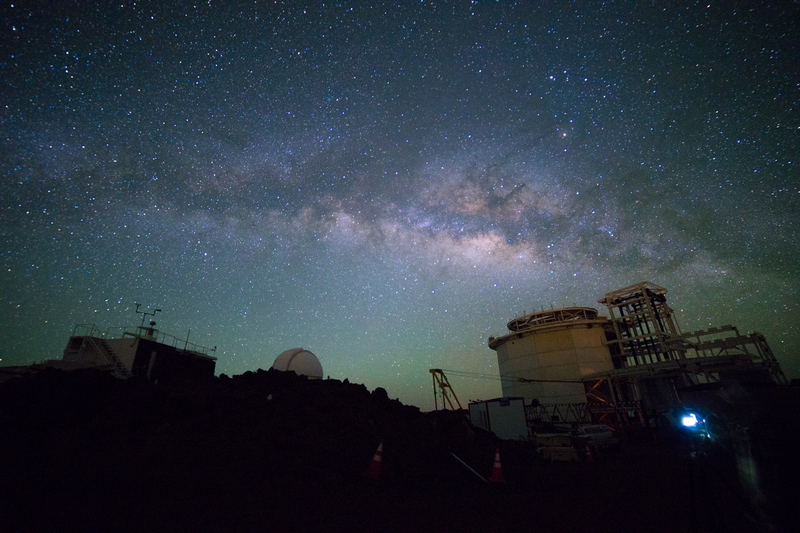 In 1965, the Defense Department's Advanced Research Projects Agency (ARPA) constructed an observatory at Haleakala. At that time the 60-inch (1.6 meter) reflector was one of the world's 10 largest astronomical telescopes. Additionally, two 48-inch (1.2 meter) infrared telescopes were installed in an adjacent dome. One would be used for tracking missiles and the other for basic research. This site would grow to become the Maui Space Surveillance Complex. The National Science Foundation (NSF) and the Association of Universities for Research in Astronomy (AURA) have named the Advanced Technology Solar Telescope under construction on Haleakala, the Daniel K. Inouye Solar Telescope. The name memorializes the late senator's profound commitment to fundamental scientific research and discovery, particularly in astronomy. When completed in 2019, the Inouye telescope will be the world's premier ground-based solar observatory – more powerful than any other in the world. Armed with this new instrument, astronomers will be equipped to glean new insights into solar phenomena and discover new information for understanding how our nearest star works, and for protecting the nation's vital space-based assets, the power grid and communication and weather satellites. Here's some additional photographs from the same trip. 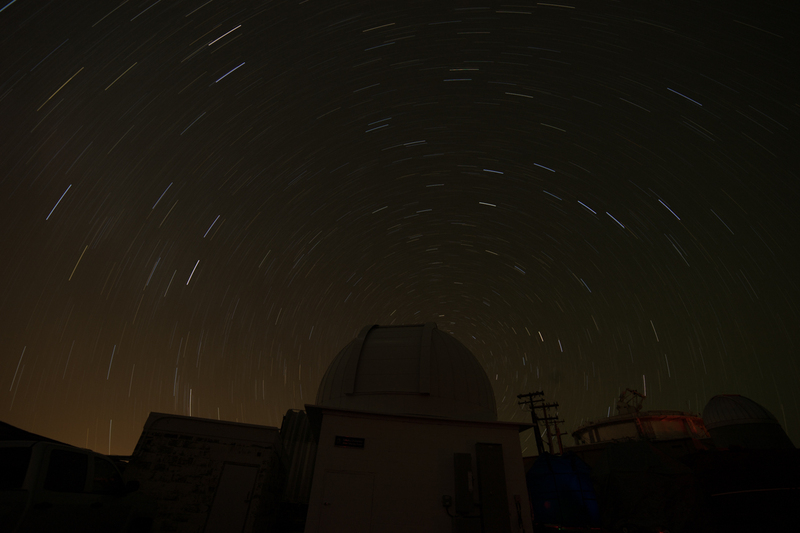 Star trails around a smaller telescope by Chris Dacus. Love the layers of colors - earth, clouds and golden sunrise by Chris Dacus. 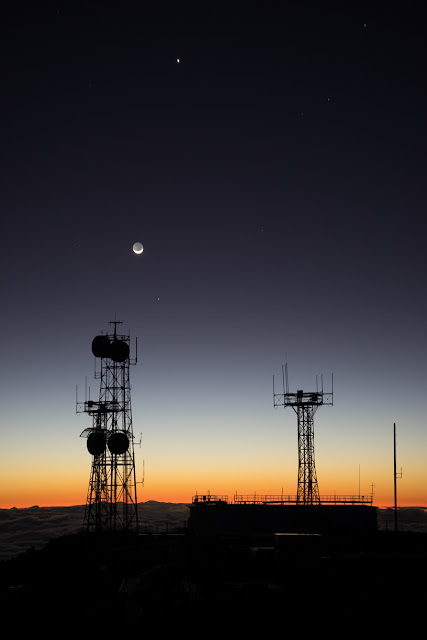 Antennas silhouetted with the moon rising by Chris Dacus.